The James ossuary box made a big splash several years ago. Headlines around the world heralded its astounding inscription, “James, son of Joseph, brother of James.” Reputable scholars from around the world were commenting on its significance. Christians were cautious, but excited. Then its owner, Oded Golan, was arrested for forgery and a cloud of suspicion descended on the artifact. I wrote a brief summary of these events last January on Take Two. As the trial to determine the inscription’s validity plodded through the Israeli court system, most hope for the artifact’s use in Christian apologetics seemed lost. However, this past week, Golan and his supposed co-conspirator were found “not guilty.” I gave a detailed update about this decision on a recent episode of Science News Flash. There is, however, one intractable problem that prevents the ossuary’s consideration as the discovery of the century. Despite Golan’s acquittal and repeated affirmations from qualified scholars concerning the inscription’s authenticity, we know little about the origin of the ossuary. Golan claims to have purchased the box from a dealer. But we know nothing about where it came from prior to that, how it was discovered, and what scholars were associated with the dig. This is unfortunate. In the case of the “House of David” inscription discovered some years ago at Tel Dan, the artifact was unearthed by reputable archaeologists, as part of a conventional, documented dig site, with proper publication and peer-review. But for the James ossuary there is no established line of provenance. Thus, this intriguing treasure’s role in Christian apologetics will always be somewhat limited. That’s not to say that the James ossuary is altogether not useful. Now that the trial is over, Christian scholars can begin to consider how the James ossuary might be used as part of a larger body of evidence for the historicity of Jesus. As the celebration of Jesus’ death and resurrection approaches, I am struck by the thought that the ossuary potentially offers written proof of Jesus’ resurrection (or, at least, written proof of the belief in Jesus’ resurrection). Here’s why. If Jesus died a humiliating death, but didn’t rise from the dead, why would James’ family want to inscribe his brother’s name on his burial box? In an honor-and-shame culture, the last thing someone would want to do is memorialize the name of a disgraced family member. And it doesn’t get much more shame-inducing than being a Jew hung on a cross for naked public display. However, if Jesus did something especially noteworthy and extraordinary—like being resurrected—it would be entirely appropriate to include His name on His brother’s burial box. Obviously, the trial’s outcome doesn’t authenticate the ossuary’s inscription. However, it does show that there wasn’t enough evidence to persuade the judge that Golan had engaged in forgery. But more than that, it frees up scholars to reengage the academic process of studying this artifact. My hope is that the ossuary will be vigorously researched through the standard peer-review process because previous work on the box already showed much promising progress. 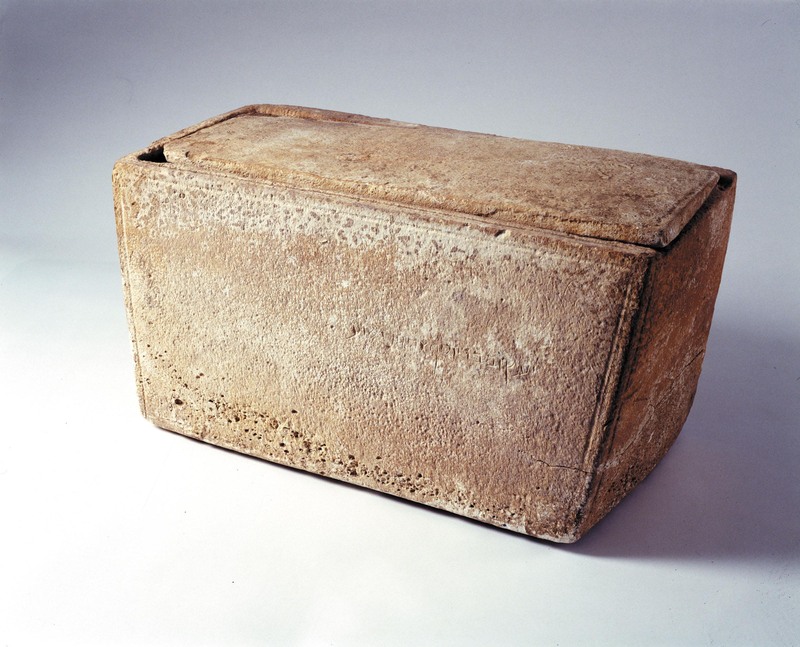 Ben Witherington III and Herschel Shanks’ make their case for the authenticity of the James ossuary in their book, The Brother of Jesus: The Dramatic Story & Meaning of the First Archaeological Link to Jesus & His Family. This free e-book by Herschel Shanks offers a great synopsis of the trial from beginning to end, James, Brother of Jesus: The Forgery Trial of the Century. Forgery of that sort is very scary. To think that people would mislead a persons soul just for a couple of dollars is very sad.